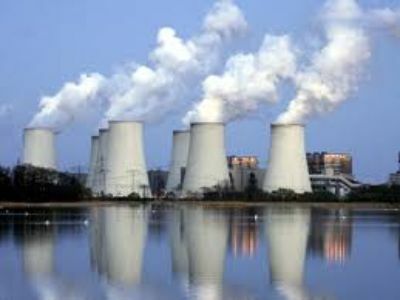 Are nuclear power plants viable for Bangladesh? The government of Bangladesh has reached an agreement with Russia to build the country's first ever nuclear power plant (NPP) in Rooppur, Pabna. Given the momentous nature of the venture, this commentary lays out some major issues to facilitate and inspire public debates on the matter. First, NPP offers the prospect of environmentally clean power supply at low operating costs over the long term. The estimated $1.5 to $2 billion construction cost of the Rooppur NPP does not seem expensive for such a plant. However, more details are needed about the modernity and sophistication of the NPP technology to be installed -- the components of the construction cost that will not be covered by the cited cost figure, and the proportion of the construction cost that will be local (in Bangladesh taka). Information is needed about the contracted operating fees, servicing fees, uranium costs, used fuel and waste management cost, decommissioning cost, and the cost of supporting facilities. Second, once the various cost components are duly factored in, it needs to be evaluated whether the Russian collaboration is the most cost effective choice for Bangladesh. Prior to 2009, China offered to build and fund the Rooppur plant; South Korea also offered financial and technical help. It is thus unclear as to what comparative evaluations led to the agreements with Russia. Third, according to the 2011 agreements with Rosatom (Russian atomic agency), Russia will supply the enriched uranium fuel and repatriate the used fuel back to Russia, and the Russian firm Atomstroyexport will build the NPP. Given the physical distance between Russia and Bangladesh, and the transportation and navigation arteries to Rooppur, the plan for long distance ferrying of the radioactive materials needs to be known and carefully evaluated. The plan for a repository of the radioactive waste is not quite known either, although low level wastes might be concealed beneath the NPP structures. Any radioactive waste repository in Bangladesh, however, exposes the connected water and marine system to grave risks of contamination due to seepage. These issues are more pertinent in Bangladesh than in Russia or elsewhere, given Bangladesh's topography, population density, and population proximity to any corridor. Fourth, International Nuclear Event Scale (0 to 7, each increment is roughly ten times more severe) measures the severity of NPP events. By any estimation, the hazardous effects of a higher level event on health, water and food chain, and in general on the riverine ecological system of Bangladesh will be many times greater than those the world has hitherto witnessed. Bangladesh is a very small country and any radioactive material released into the open is likely to spread quickly to much of the country and the neighbouring regions of India, exposing possibly more than hundred million people to nuclear contamination. While the government of Bangladesh is expected to have conducted in-depth study of the potential impacts of INES higher scale events, the information needs to be more widely circulated, examined and debated. Fifth, before constructing and operating the Rooppur or any other NPP, it is essential that not only the risks be measured/estimated, but also an efficient and well-resourced risk control and disaster management system is designed, put in place and well-rehearsed ahead of time. This is of paramount importance because NPP will be a novel venture for Bangladesh, but the country is not reputed for its governance effectiveness, safety and disaster management record and preparedness. Moreover, the infrastructure, from transportation to medical, is grossly inadequate even under normal circumstances. It is unfathomable how Bangladesh can quickly evacuate and relocate say just a few hundred thousand people from the Rooppur area, not to speak of the expected millions. Sixth, while the Rooppur NPP may be cost competitive, how its 1,000 MW or even the projected 5,000 MW NPP capacity by 2,030 (re: World Nuclear Association) will vitally address the longer term power needs of Bangladesh calls for a careful evaluation. According to the government, the projected demand is 19,000 MW in 2021 and 34,000 MW in 2030. If the Rooppur NPP is connected to the grid by 2,021, it will meet less than 5% of the projected 2021 power need, even operating at 90% capacity. If all 5,000 MW of projected NPP capacity comes alive by 2030 and operates at 90% capacity, only 13% of the 2030 power needs will be met. Of course, if the economy and the population continue to grow, this percentage will dwindle even further beyond 2030. Thus, unless Bangladesh becomes infested with NPPs, the nuclear choice is unlikely to make a dent in the country's growing needs for power over the longer haul. Meantime, each of the five (assuming 1,000 MW size) projected NPP additions would keep aggravating the chances of a higher INES event and its potentially colossal effects. Seventh, the wisdom of entering at all the arena of nuclear power generation is worth debating, given that most of the long-time and economically resourceful users (e.g., US, UK, Japan, Canada) are actually winding down their NPP capacity. The few countries (like China, Russia and India) actively adding capacity are self-sufficient in the technology, have atomic weapons arsenal, and more importantly wish to either preserve their own reserves of non-renewable resources (like crude oil) and/or to curtail their dependence on such external resources for strategic reasons. Lastly, with the Rooppur plant and the planned additions thereafter, the risk of the radioactive materials falling into the wrong hands cannot be downplayed considering the history of turbulent politics, poor and porous security apparatus and law enforcement, and widespread corruption and governance failures. In summary, NPP offers an environmentally clean way of diversifying the power generation portfolio of Bangladesh at low operating costs over an extended period of time. However, the capital costs are large without significantly meeting the long term power needs, the risks are real and grave, disaster management appears daunting, and an array of alternative clean power technologies are indeed available. In the end, whether the risks and costs of NPP are acceptable enough is not a matter to be resolved by the science experts or economists. After all it is the ordinary people of Bangladesh who would bear the lethal consequences of potential NPP mishaps for generations. If this is not the time for fully informing and engaging the citizenship on such an overarching matter, then when?